The arrival of every new child is an opportunity for many in the community to celebrate. 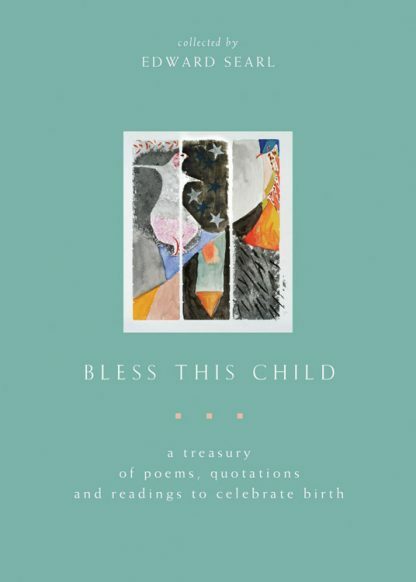 In Bless This Child, Unitarian Universalist minister Edward Searl has collected a wide range of poetry and prose for every occasion surrounding a new life: composing birth announcements, birthday cards, and notes to new mothers and fathers; performing readings at birth ceremonies and naming rituals; and honoring an adoption. An indispensable tool for well-wishers, this collection will also provide quiet spiritual sustenance to new and expecting parents. The selections are contemplative, contemporary, and spiritual but not overtly religious. They are drawn from ancient and modern sources from the famous to the obscure and from various cultures and faith traditions. Many works are previously uncollected. Includes passages from Lao Tzu, Charles Dickens, George Bernard Shaw, Nelson Mandela, Hillary Rodham Clinton, and Erica Jong, among many others. Filled with wonder and hope, Bless This Child is the perfect gift -- a keepsake for expecting mothers and their partners, new parents, grandparents, clergy, and anyone who has a role in nurturing the sacred life of a new baby.